I really couldn’t give a monkeys about the pre season friendly games. Sorry, but there, I said it. I mean it’s not that I don’t appreciate their value to fans that don’t get to see The Arsenal every odd week like I do, but because I do and because I live in London, they just don’t interest me in the slightest. This isn’t a ‘foreign fans’ thing, it’s a ‘friendlies are a bit pointless’ thing. I’m not saying we shouldn’t do them, I’m just not fussed about them. I suspect the very reason I’m even writing this stuff is driven by the fact that the media make these out to be a little bit more than they are. Talk of fixtures announced and a big fan fare over who we play and when is all just Sky and other providers with the opportunity to hyperbolise matches which are little more than public training sessions. Still, in my cynicism I should appreciate what they mean to fans from across the world I suppose. I was in Hong Kong the week before last and missing the United and Rennes games due to time zones was a bloody massive inconvenience and so having a game or two on at that time zone that suited me would have been grand. So I kind of get it now. All of this preamble is to say that there really is little else going on. Big Per talks to Adrian Clarke on the official site and talks up his role, but that’s about it really, and Unai isn’t due to take to the stage for his presser until a little later on as I type this. There’s been an update on availability from the club and the good news is that Nacho and Rambo are fit, but other than that there’s little else to update. The Ramsey news is good. With a player who seems to be always a game or two overplaying away from a three to four week injury it’s always a fraught time when we hear that he’s sent back from international duty, but by the sounds of it Wales have been sensible and as a result we get him back for Monday’s game against Newcastle. What will be intriguing is where Unai’s head is at. Holding, Welbeck and Bellerin aside, we have a fit squad of the medical report is to be believed. I’m not quite sure why they haven’t included Xhaka in the injury list but hey, maybe he’s found some miracle horse placenta like Kane seems to inject into his body to get fit super quick? 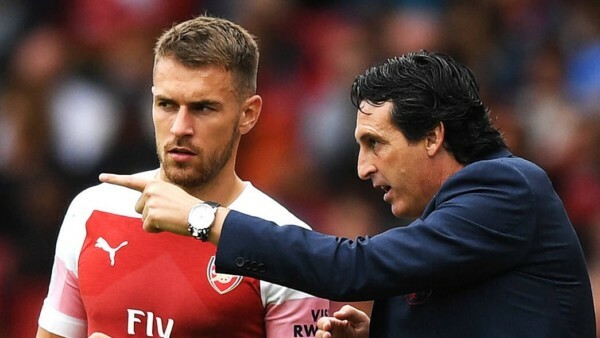 With Torreira out suspended for Monday’s match it means we look a little light in the middle of the park if Xhaka is injured and so with Ramsey back fit it will be interesting to see Unai’s thought process for the game. Does he go with a shift in formation or just drop Ramsey deeper? I’m not sure that gets the best out of him but the benefit Unai does have is that he has a few players who look like they’re hitting a bit of form. When you’ve got a headache on who to pick because there are plenty of in form options, you’re never complaining about that one. It feels like an age since I’ve been back to The Arsenal. Well over a month in fact due to the internationals, FA Cup and travelling. It’s awesome having that excited feeling approaching May and so I guess we can be thankful that the team have picked up some form ahead of an absolutely crucial month.